At Bob Oates Plumbing, Sewer & Rooter, our drain cleaning services are precise and effective for our customers in the Redmond, Washington area. We strive to offer practical drain cleaning services that pay careful attention to your time and money. 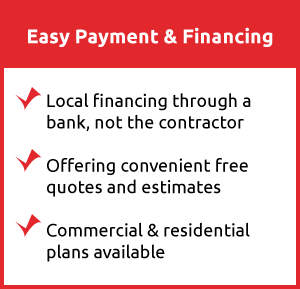 Our prices are affordable and there and never any surprise fees. The work we do to service our Redmond customers is designed to meet each home and business’ individual needs. We know that the Redmond community is a technological hub that houses many tech companies and business which requires drainage systems to be in the best shape possible. Our team can eliminate any problem or stop one from happening in the future to ensure the Redmond area can function without any inconvenient drain system problems. 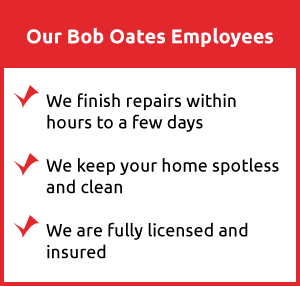 Our team at Bob Oates Plumbing, Sewer & Rooter utilizes services that are efficient and non-invasive. We credit our efficiency to sewer camera inspections that precede any drain cleaning service. Sewer camera inspections are a quick and smooth process that begin with our team digging a strategically placed hole to create an access point to your drain pipes. Establishing the access point is essential in our process because it will also be utilized during the drain cleaning process. After the access point is established, our team will insert a high-quality camera into your pipes. The camera is attached to a flexible rod that can move through your drains with ease while providing us with real-time view of the interior of your pipes. The sewer camera will be able to show any imperfections within your pipes such as leaks, cracks, clogs, and blockages. Through this inspection, we will also be able to determine the age of your drain pipes based on how much buildup has accumulated on the walls of your pipes. With the inspections revealing all these vital details, our team will have all of the information they need to conduct the proper drain cleaning service your home or business needs. At Bob Oates Plumbing, Sewer & Rooter, we only use environmentally friendly drain cleaning services because pouring harmful chemicals down your drain does not solve drainage problems nor sustain pipes long-term. The most reliable form of drain cleaning service we use at Bob Oates is hydro jetting. Hydro jetting is a process that purely uses clean water to flush out anything harmful within your drainage system. The hydro jetting process involves a hose with a special nozzle being inserted into the single access point created during the sewer camera inspection. When the hose and nozzle is secure, our technician releases a powerful stream of water that is sprayed in all cardinal directions to remove all debris and buildup. The water pressure is powerful enough to remove calcified clogs and tree roots, but it is not strong enough to damage the walls of your pipes. The hydro jetting process is one that our customers can rely on and benefit from. Hydro jetting services can be relied on throughout the year to ensure that your drain pipes stay healthy and functional. At Bob Oates Plumbing, Sewer & Rooter, we pride ourselves on offering drain cleaning services that can ensure that pesky clogs and blockages won’t stand a chance to reoccur. By providing our customers in the Redmond, WA area with proactive and preventative services, we can help the community extend the life of their drain pipes and make extensive repairs a thing of the past. If you require our assistance, do not hesitate to pick up the phone and call us today! We looking forward to working with you.